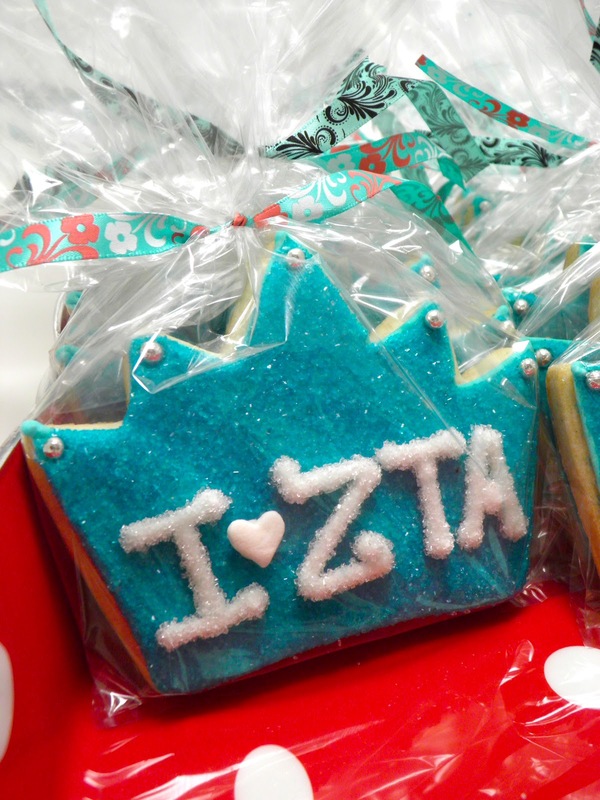 From Captain's Daughter to Army Mom: ZTA Cookies and a Very special Giveaway! million or so people she's inspired through her blog also celebrated this! amazingly patient and kind and, she answered every single one! reviews from everyone that saw and tasted them... Especially my mom! Sending a paint-by-numbers set to Michelangelo! arrived, Bridget recommended her publisher send me an advance copy of her book! I'm thrilled to have it and have already read it, cover to cover! whose sweet daughter is pledging to ZTA this week! included an extra copy for me to give away to one of my readers! tweet or share this giveaway on Facebook or at your own blog! it here. Winner of this giveaway will be announced on 10/10 - Good Luck! Every year, for as long as I can remember I have baked cookies with my grandma for Christmas. I'm now 27 and feel blessed that we are still able to do so! What a great giveaway!! That would be a lovely addition to any collection! 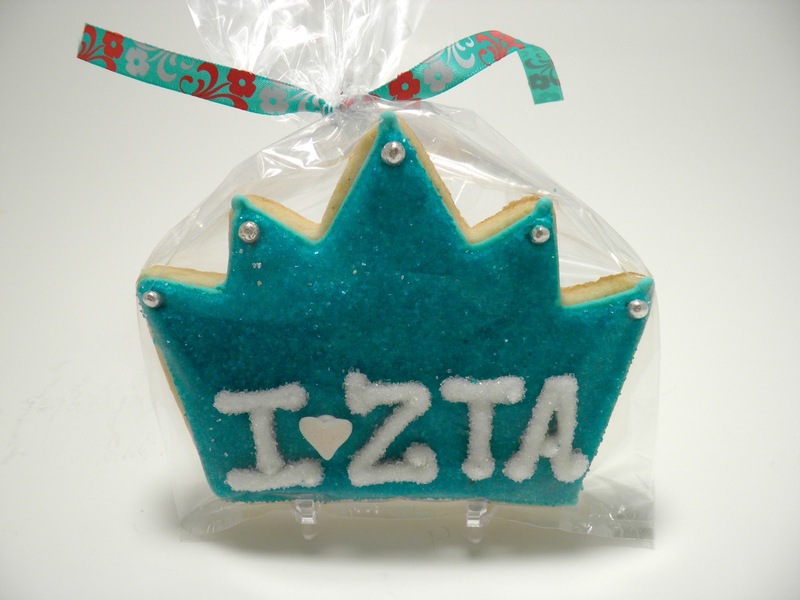 My best cookie memories would have to be the past 17 years of Christmas cookies baked with my children. 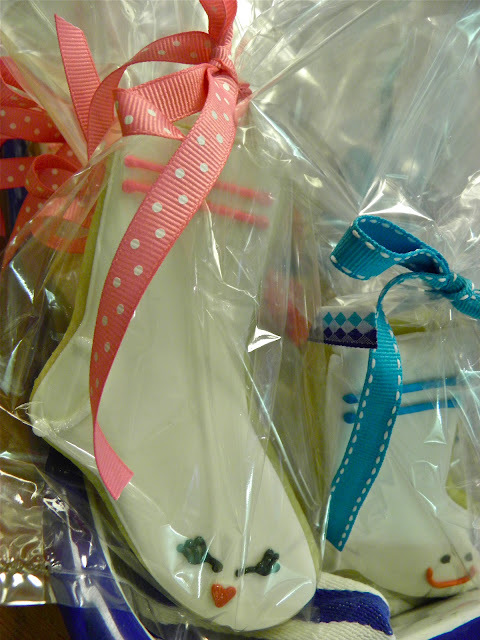 We bake cookies, tea cakes and candies to give our friends and family for Christmas. At first it was because it was budget friendly - now it's just what everyone looks forward to and we love to do it. I would love to win a copy of this book! My favorite cookie baking memory is from high school. A group of my friends got together for a Christmas party and made Sugar Cookies and decorated them together. I just remember it being a super fun time together talking and laughing, and putting WAY too many sprinkles on a cookie! My favorite cookie baking memory is the the first time I baked cookies with my oldest daughter. She was not yet two and standing on a stool beating the sugar cookie dough with a rolling pin once the dough was "ready" she proceeded to lick and poke the dough all the while proclaiming "dat goo schtufff Mama!" I love that series of pictures, not quite what I had in mind but a cherished memory none the less. What a nice giveaway!! 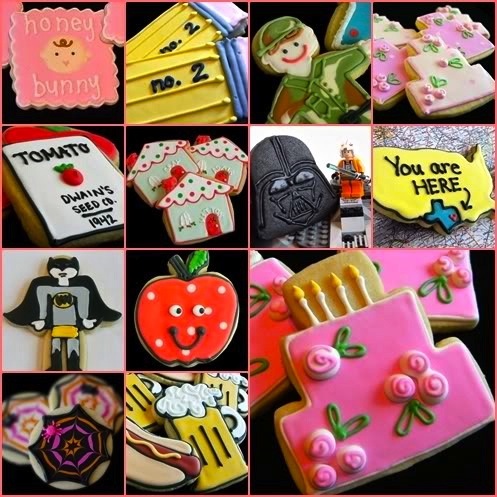 (Although when I saw the word "giveaway" on your blog I have to admit I was hoping it was your cookies!) :) The book looks wonderful!! 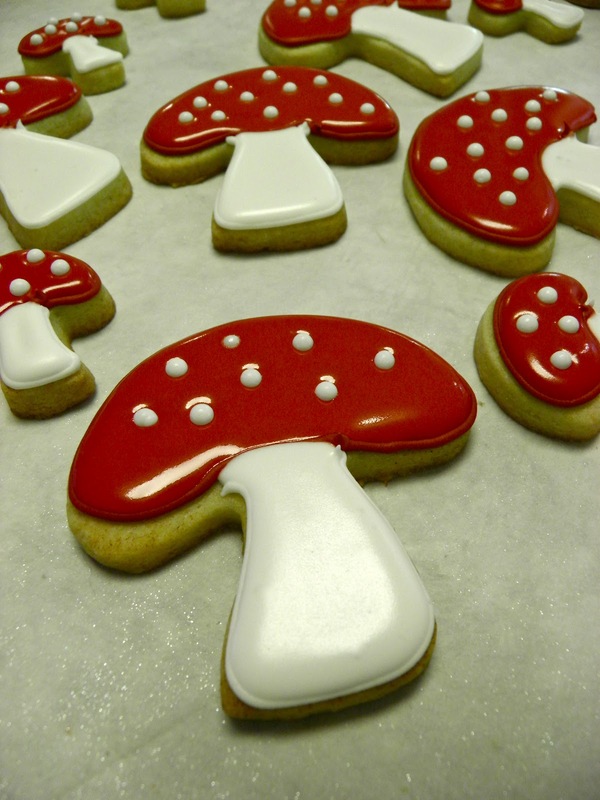 My favorite memory is making decorated sugar cookies as a child. My mom would let me invite a few friends over and she had the cookies all made. We sat at the table and got to frost and decorate them. My mom had a large Lazy Susan in the middle of the table with all sorts of fun candies to decorate with. I later did the same thing with my daughter! And to this day, I still use her sugar cookie recipe. I remember the smells from my grandmother's kitchen as her mixer blended the dough for Spritz cookies. I am so honored to have her mixer today and make those cookies each Christmas. Winning Bridget's book would be like an early Christmas present. Every time I bake cookies, I envision them in my head looking like yours, but they turn out ......well, not. But anytime I bake with my kids is awesome!!!! My favorite cookie making memory is baking gingerbread men for my children at Chtistmas. 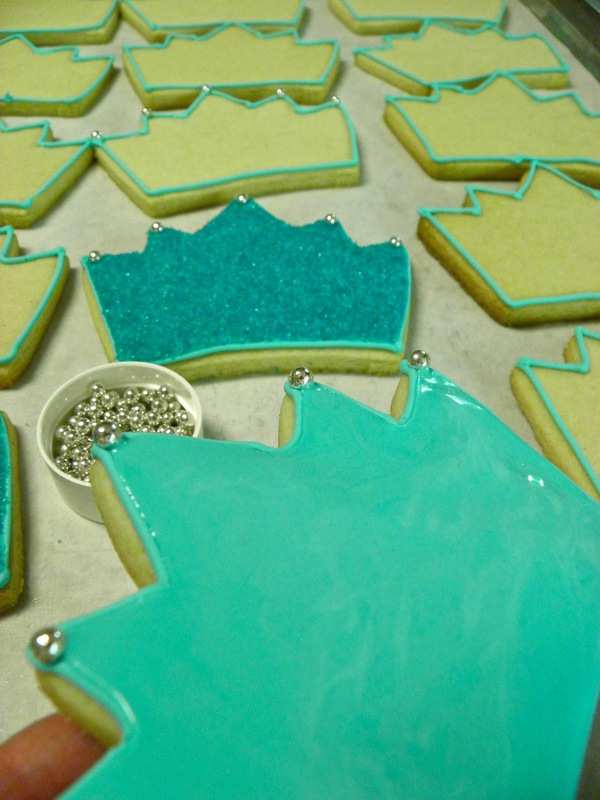 My son would eat all the royal icing decorations before devouring the cookie! Would love this book. I've made her cookies, which taste wonderful but I haven't mastered the icing yet. 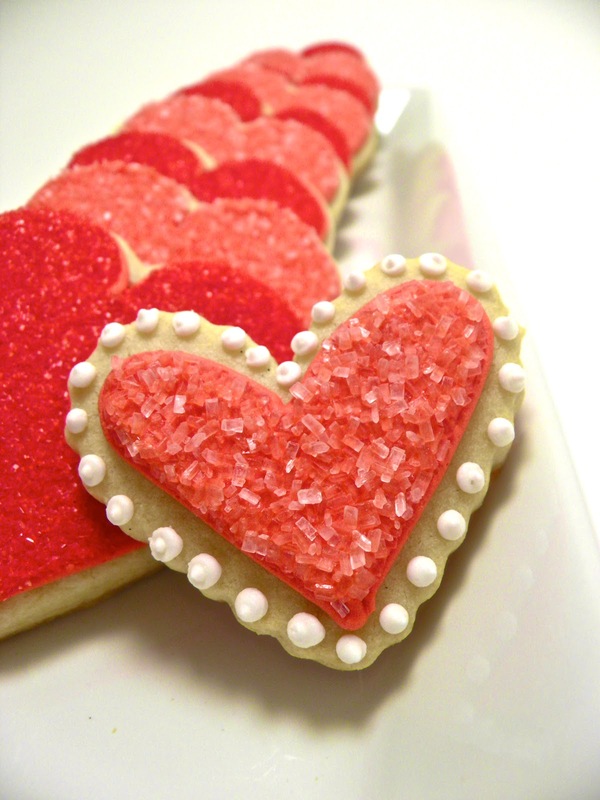 But, my favorite cookie memory is making my Dad's cousin sugar cookie recipe. They are roll outs or cut outs but they just melt in your mouth....lots of butter and powdered sugar in them. Making them with my daughters and now granddaughter makes them all the more yummy. Favorite memory? Christmas Eve, new flannel pajamas, and an old wooden table covered with flour in my mom's kitchen. I think we ate more dough than we baked! I love to host a cookie exchange each December right before Christmas. 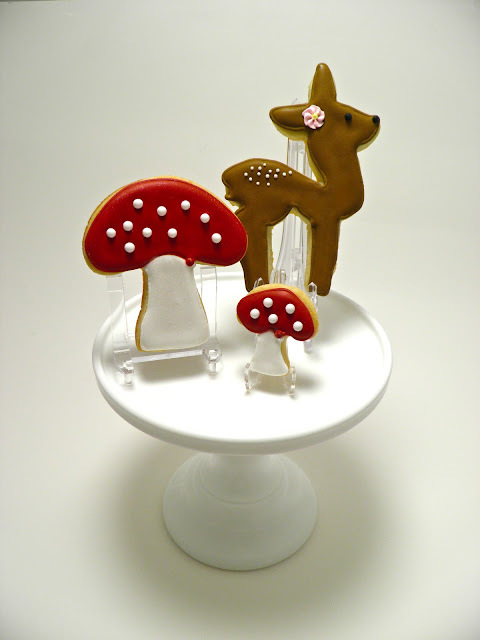 The party has grown to 30 people exchanging every kind of cookie imaginable. I have to say my favorite baking memory is baking Christmas cookies with my mom...spritz cookies..I was in charge of sprinkles. I am so lucky to have that memory....and now I am sharing my love for cookies with my son...he now is the sprinkle exptert! 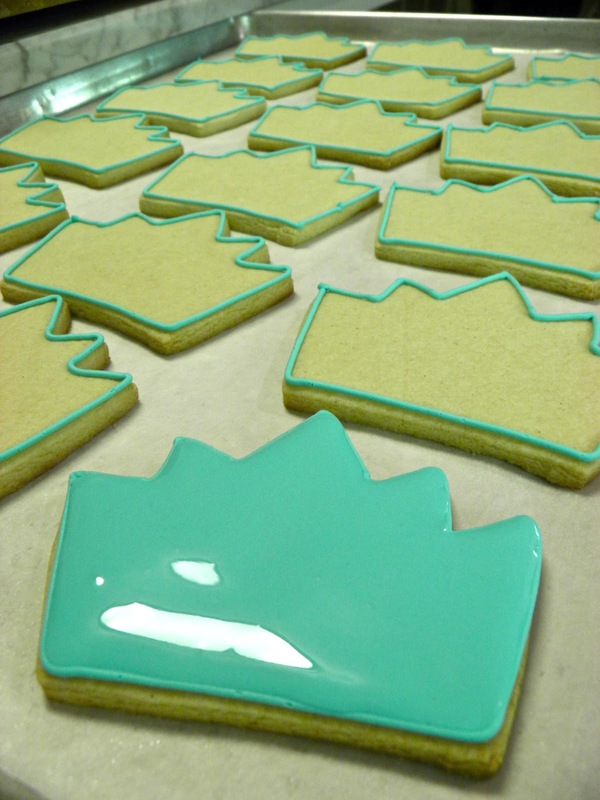 My fondest cookie making recipe is baking them for my wedding with my mom! I have much improved since then, esp with my royal icing skills, but those memories and cookies will always be a part of me! 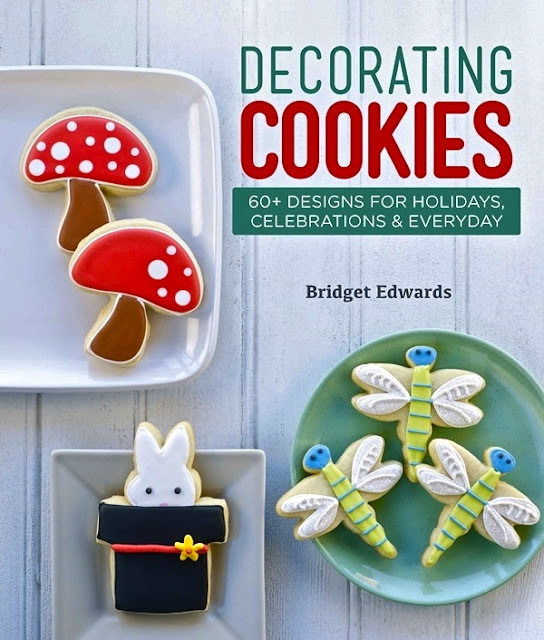 Wish that I can get my hands on a copy of Bridget's book!! I love baking anything. But my favorite cookie to bake is oatmeal raisin. I can remember mixing the dough with my grandmother at least once a month on a Sunday! I'd love this book. Favorite memory, making cookies with my daughter, I love that at 19 she still loves to do this with me! 2nd favorite is my best friend coming over before our annual Christmas open house...both are special times with special people! Bridget is the reason I am a cookie decorator. I found her site 2 1/2 years ago and I haven't looked back! Learning to bake with my great granny in the december holidays in South Africa. She taught me to make Hertzog Cookies. (Apricot jam tarts with coconut on top). I had to wait till i was married before i got the recipe from my Granny. (By now my great granny (affectionately known as old granny) had died at 97 yeaes old. ). This recipe is still in my recipe book and i am now looking forward to teaching my 7 year old. You post has now inspired me to start this weekend. Our weather is hot now so will remind me of the good times. I may have to eat them before the word gets out that old grannys hertzog cookies are being made and the doorbell starts ringing! My favorite cookie baking memory is from when I was a small child and if I was sick, I was sent to Grandma's house while my parents went to work. Grandma was known for her sugar cookies, and she knew the best way to make me feel better was to help me make some. And she always made two batches so we could bake some and eat some of the dough. She is turning 92 this week, and still makes her sugar cookies. My favorite cookie baking memory is making cookies with my grandmother and siblings. Some of my best memories!! My son licking off all the wet icing after hours of decorating some cookies. Ugg..it killed me but his sly grin was so hard to get mad at. I have always loved baking with my two boys-well, let's be real, I bake, they sit and lick the bowl and wisks! But we have good talks while they are waiting, with me wishing that they would stay little forever and them wishing I would hurry up-kinda like our feelings about growing up. They are 7 and 14 and time is flying by so fast but still slows just a little whenever that butter, flour and sugar starts to come together. Thanks for the giveaway!! When my oldest son Andrew started middle school five years ago I started baking chocolate chip cookies for his teams on game days and I've continued thru the years for he and his two brothers. Last week I baked 21 dozen cookies for three soccer games! The boys on the teams are always excited for their cookies no matter if they win or lose! I would love to make them fancy cookies like your beutiful ones!